To start, the franchise has been surrounded by controversy and instability all year. From the firing of coach Jacques Martin after a slow start, to the decision to trade the frustrated Mike Cammalleri to Calgary for Rene Bourque, the management has spent all year reacting to problems without any clear overarching plan. It must be difficult for Pierre Gauthier, the team's general manager, to appease one of the most vocal and critical fan bases in all of sports. However, firing Martin in favour of Randy Cunneyworth, to then name the latter an 'interim' replacement, was one of the most ill-conceived moves of the year. There has been plenty of discussion regarding Cunneyworth's monolingualism, but the bottom line is that the 'interim' designation cut his legs out from under him before he had stood for one second as the Head Coach. If the powers that be don't believe in the coach, it makes it awfully difficult for the players to, either. That lack of belief manifested itself with a losing attitude throughout the locker room. The same attitude that Cammalleri, the hero from the team's deep playoff run two seasons ago, spoke out against when he said, "We prepare for our games like losers. We play like losers. So it's no wonder why we lose." That comment precipitated his departure from the team in the middle of a game on January 12, 2012. The message was clear to the rest of the team: it's not a problem to lose, but if you speak out about it, you're gone. Considering their 8-10-7 record since that trade, Cammalleri's comments came not from frustration, but from fact. It is a season for bottoming out and starting afresh next year. Unfortunately, Gauthier is still too scared of the Montreal media to do that, and so he only shipped off one player at the trade deadline, the underachieving Andrei Kostitsyn. The GM managed to stockpile two draft picks for Kostitsyn, but those will take years to develop. 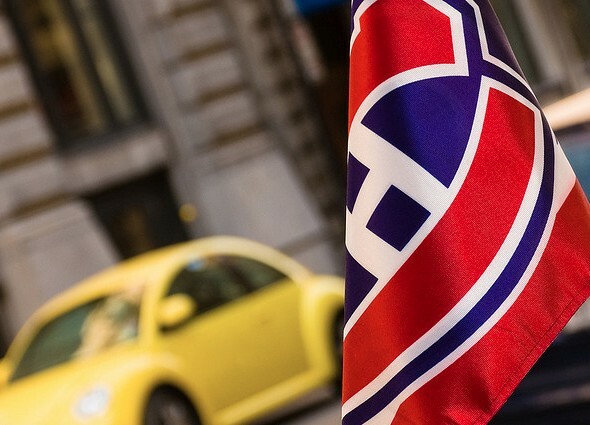 In a city filled with rabid supporters expecting a shot at the Stanley Cup every year, Gauthier needs the Habs to make a late season push or he might find out the hard way that he is just an 'interim' General Manager. complement the other kinds of grosfillex material. There are many people who use teak oil to shield the sun's harmful rays. dorockers, Chaise lounges, hammocks benches and chairs, loveseats, chaise couches and comfy chairs that are also a great deal of strength while keeping in mind. Well, wonders never cease, and mircale DO happen. I ran last night. Still running my short beginner run, but I've been running none the less. THEN, I awakened at 5am this morning for no reason whatsoever and since I could not go back to sleep, guess what I did! Yep, you guessed it, I RAN! Running this morning was a good good thing since I will be on the road this evening, and then once I reach my destination will be entertaining guests. YAY! Productivity feels soooooooooo good! Next introduce a friend to get a courier was surprised a large carton, the bag has a paper lining, non-woven bag outside of the package, as well as a layer of protection cardboard lining, the bag is also not squeeze marks, praise ! The color is very fond of the bag, pearl white rounded, smaller version of the compact, than expected! Courier to the force, although reservations and other for some time, once the delivery is rapid, and praise! Cortex in general. I received this bag is no tag. Ask the store said to be forgotten installed. Very silent. To give as gifts. Not even a tag. Looked very out of gear. This section is very short shoulder strap bags sent Oh. Only suitable shoulder. Messenger is not long enough. Description_250_(Polish) You ought to also confirm for decay damages, as nicely as for foul odors like musty, smoky, or animal pee.